VROnly from reddit recently posted an awesome tip to increase the VR Video Quality at the cost of performance. 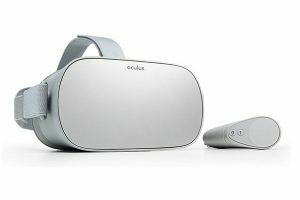 Careful, this can damage you Smartphone or Oculus Go device. First you will need to install the android debug bridge utility on your computer. DO NOT restart the phone after you type the commands in adb as this will reset the phone to its default state. I use Pigasus app with a Galaxy S7(US version) and to my eyes the video quality seems much better. If you find the phone lagging you can use the following commands. Again these values will reset if you restart the phone. Go to settings and turn on developer mode. You will have to register a developer name with Oculus to do this, but its easy and you don’t have to give any other new information. Once developer mode is on you can use the adb commands through the command prompt. know of at least one that is unique to the Go which is: adb shell setprop debug.oculus.foveation.level 0/1/2/3. This sets the level of fixed foveated rendering. I absolutely love your site.. Pleasant colors & theme. Did you build this web site yourself?